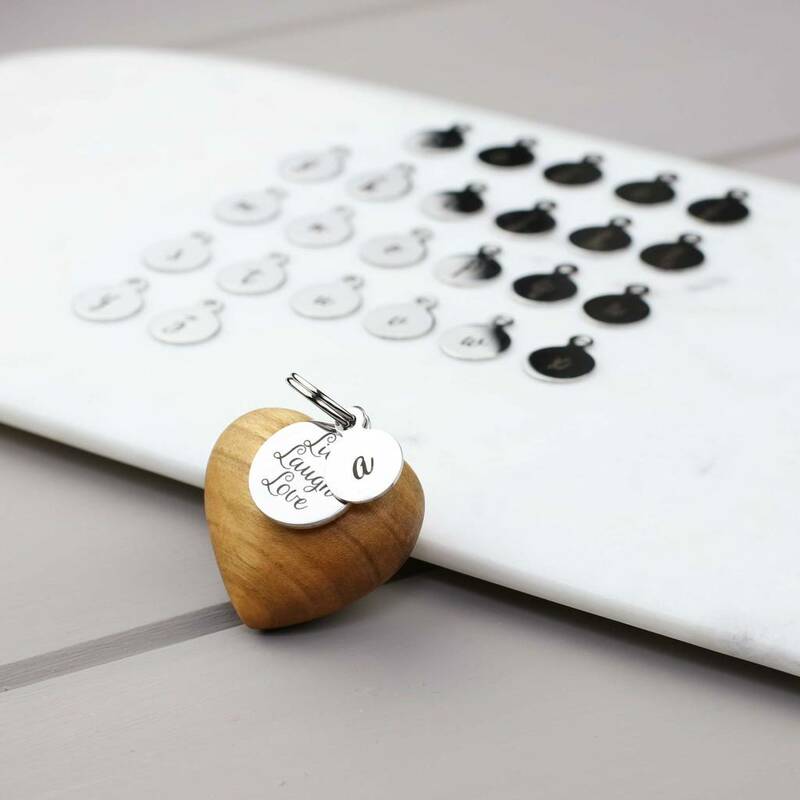 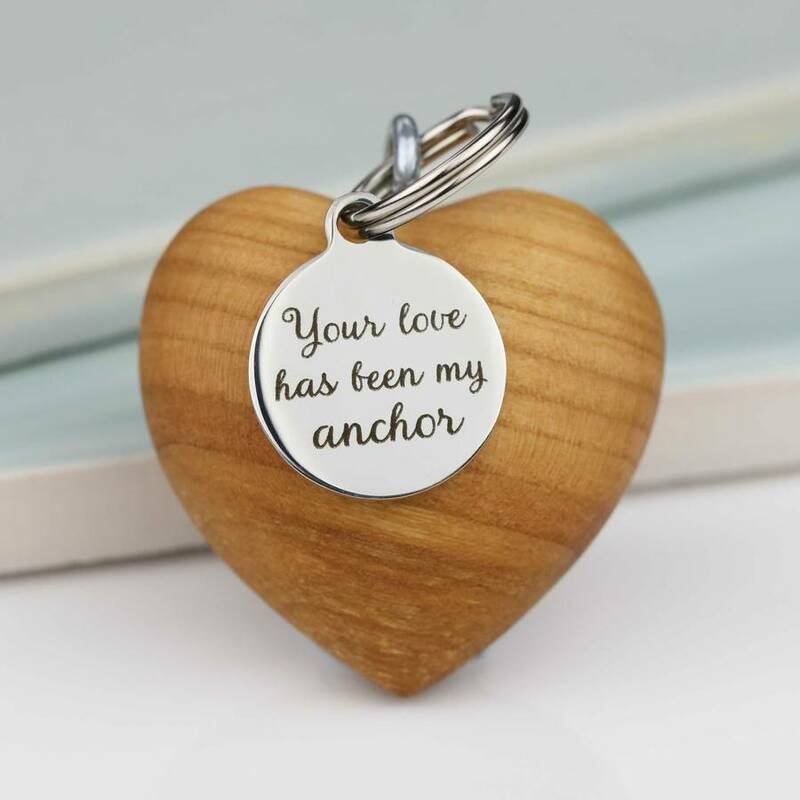 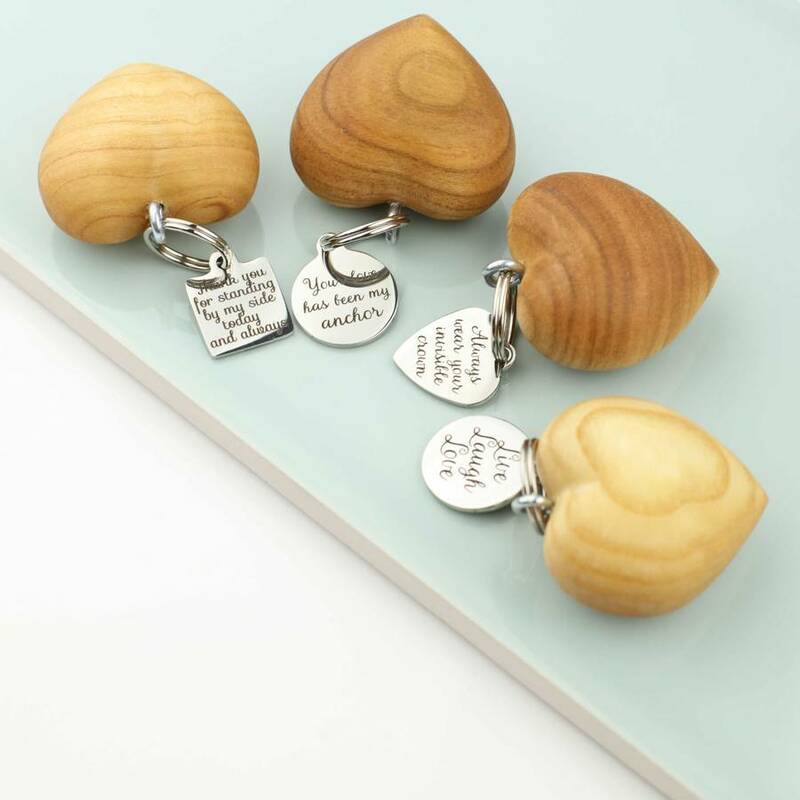 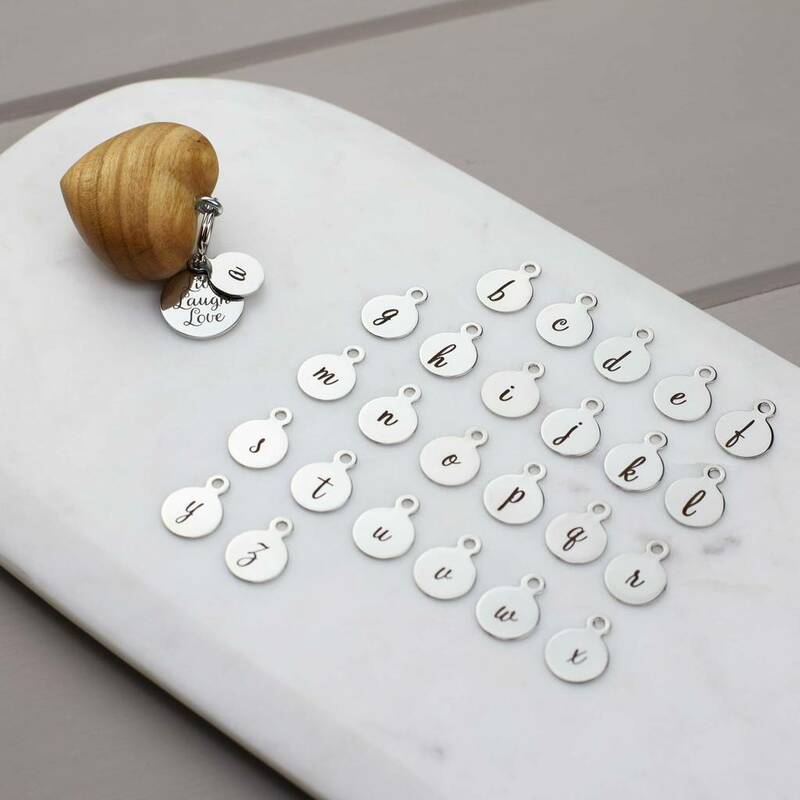 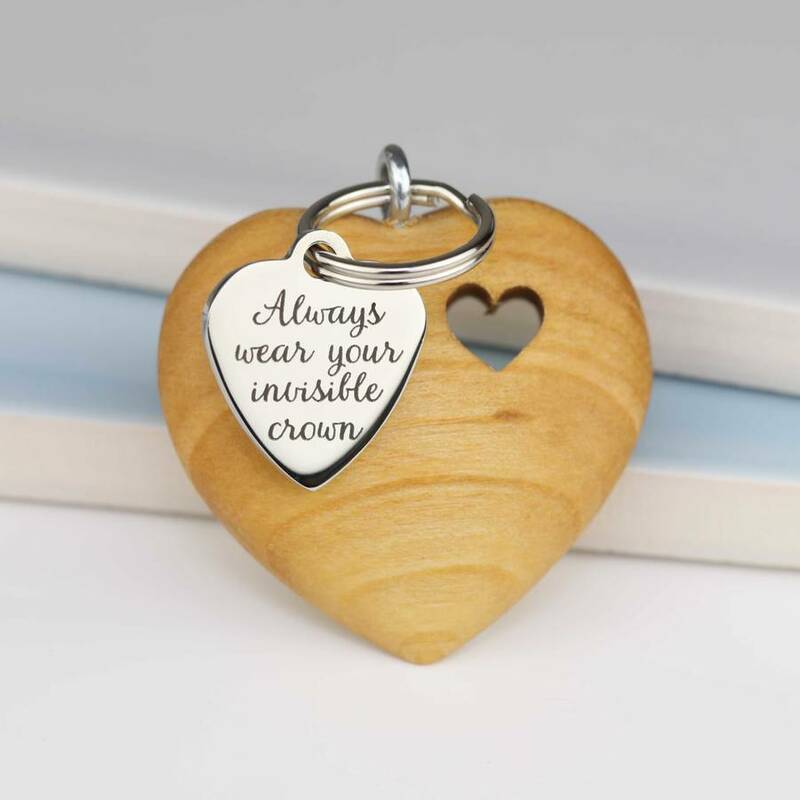 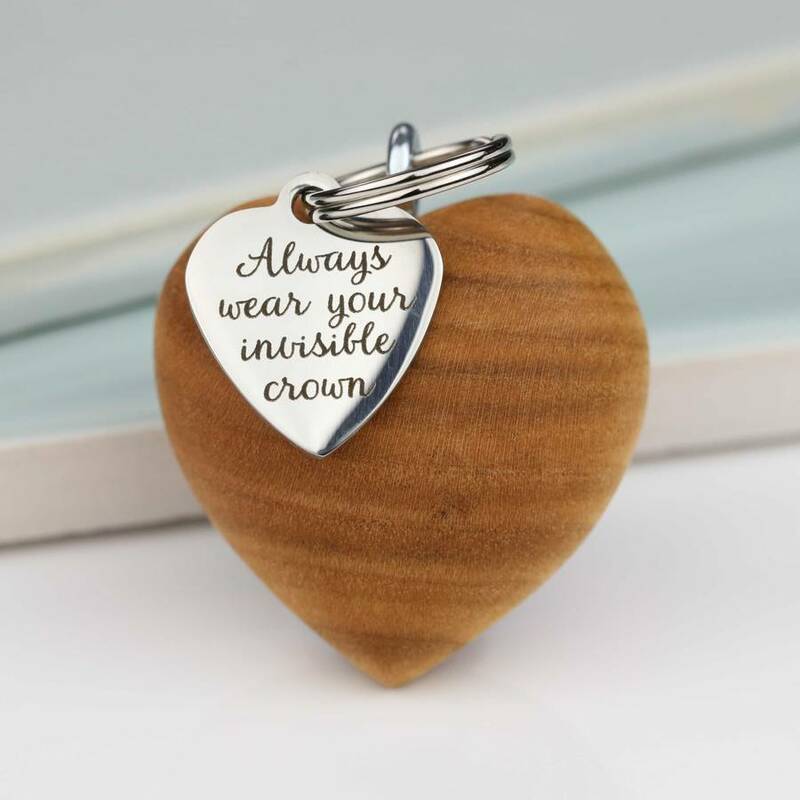 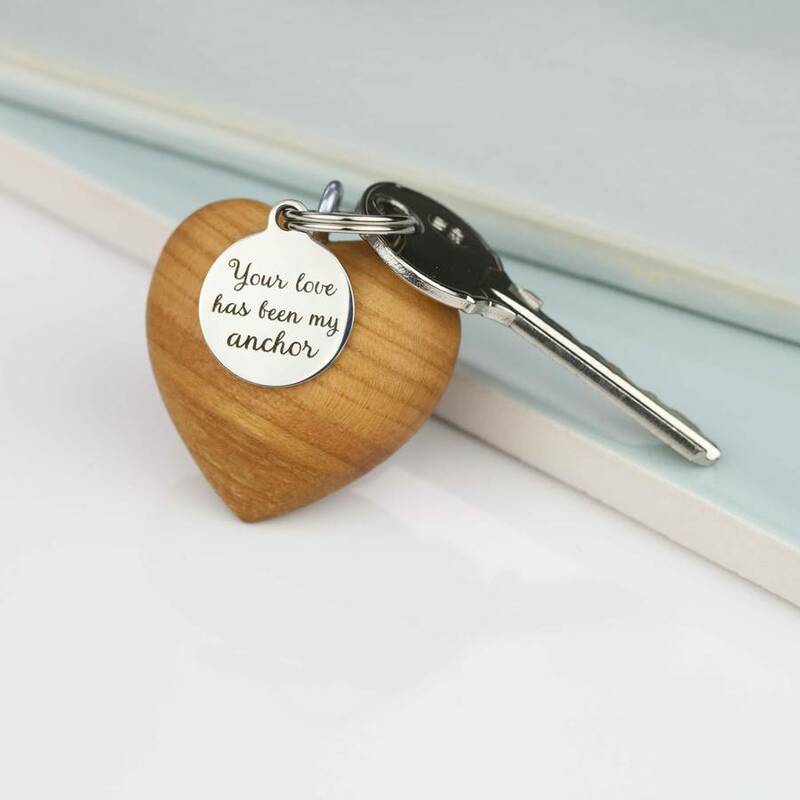 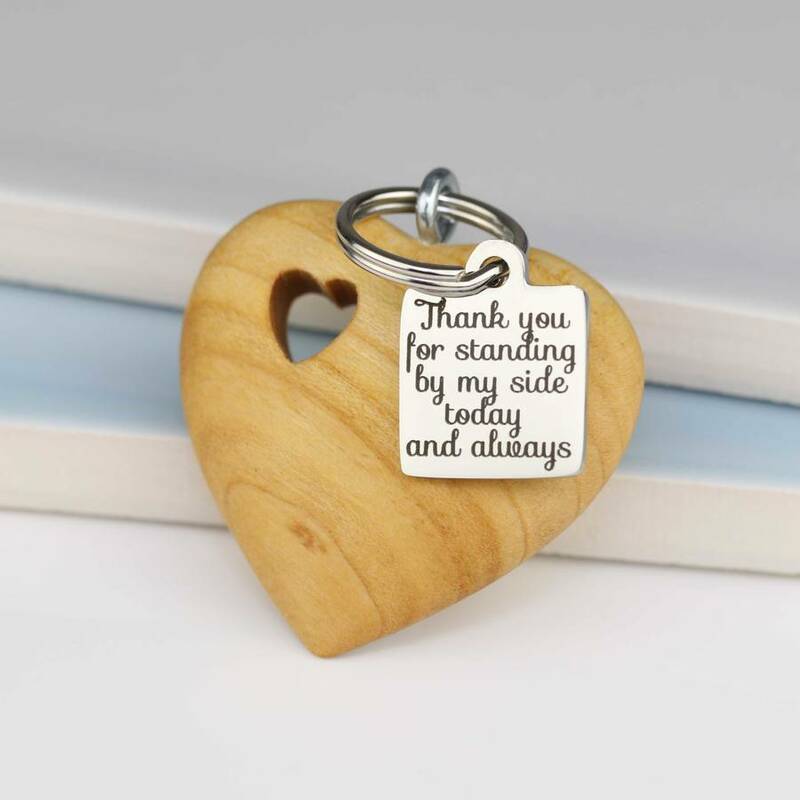 These gorgeous handmade wooden heart keyrings have lovely sentiments inscribed on a beautiful silver disc. 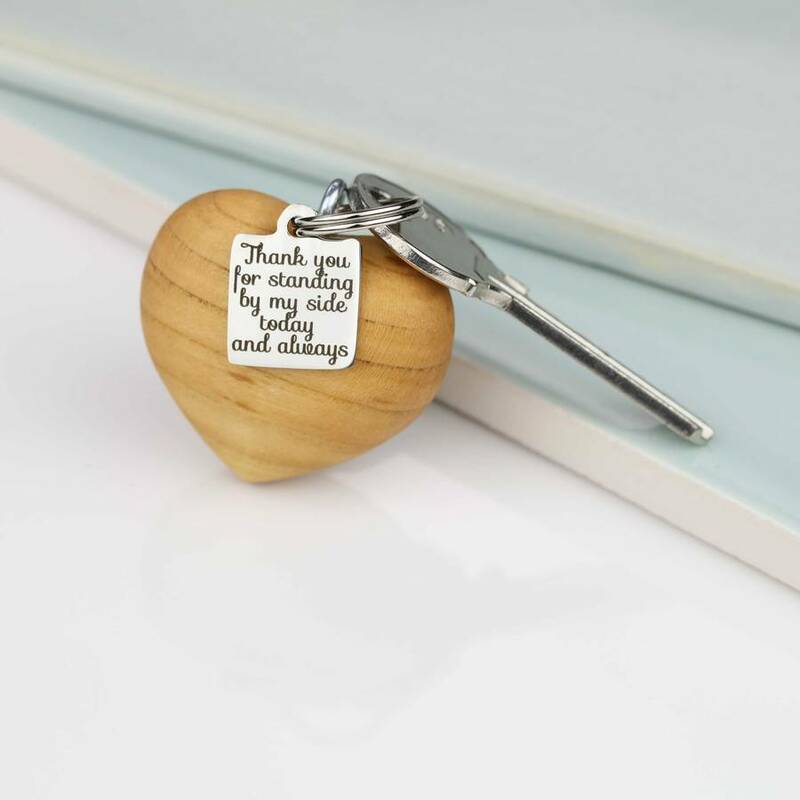 Discover the other sentiments in this wonderful range. 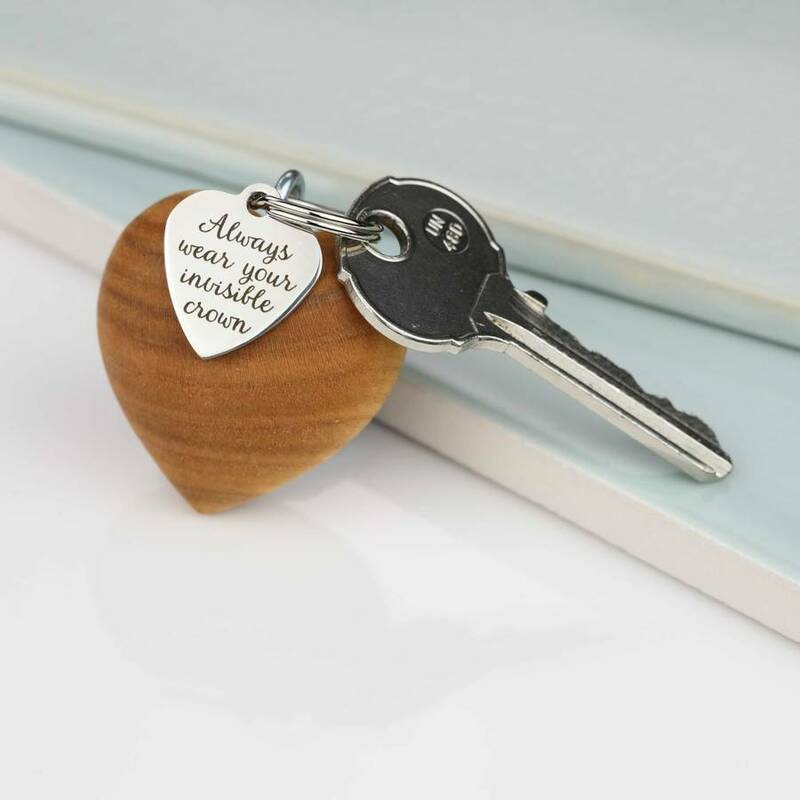 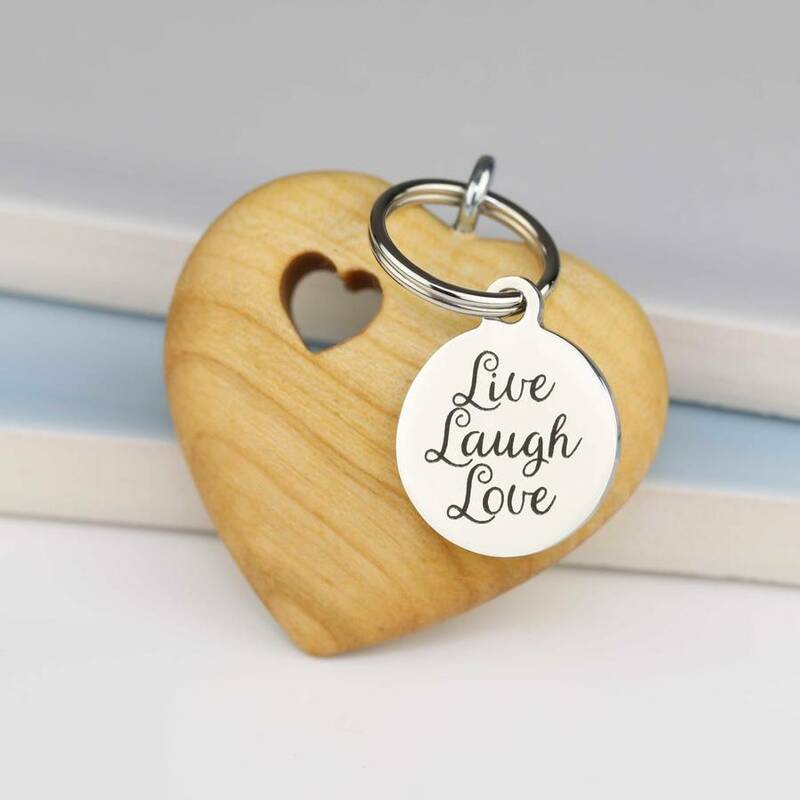 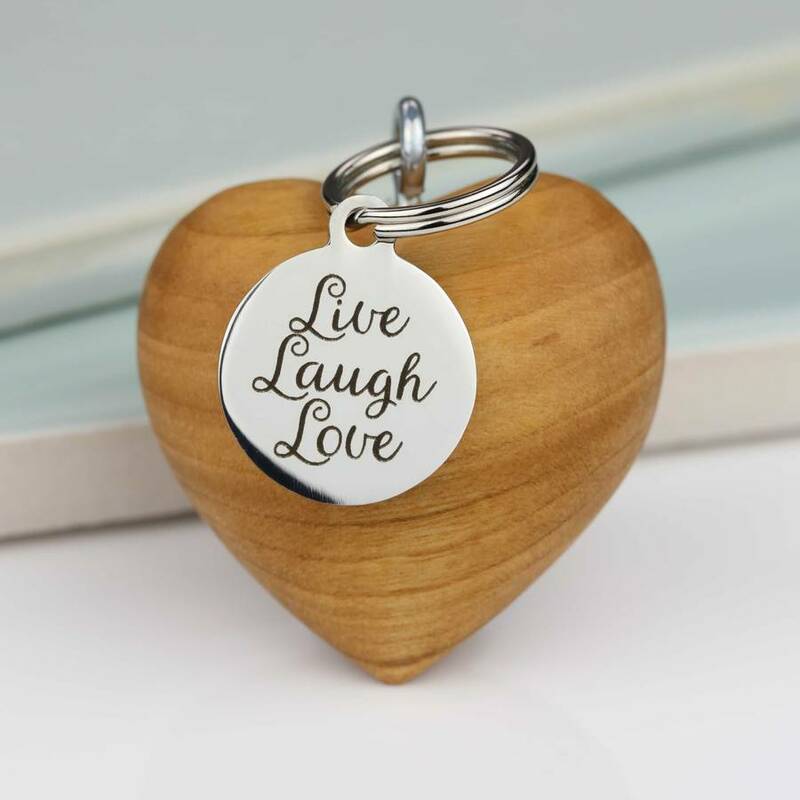 Once you have ordered this lovely heart keyring we either pop it into a gift bag which we can then seal with one of our branded Nest labels, or we can leave the gift bag unsealed so you can have a look at it first and then seal it yourself with the label we will provide.